Alesha is an assistant professor of accounting in the Dayton School of Business. 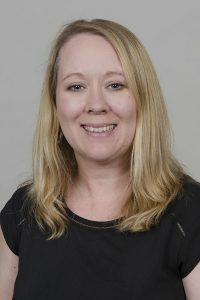 Prior to coming to Asbury University, she taught accounting courses at the University of Cincinnati Blue Ash College and at Mount St. Joseph University (Cincinnati). Before teaching, she held various professional positions in public accounting, working for the firms Crowe Horwath, Dean Dorton, and Barr Anderson Roberts, specializing in the tax-exempt/nonprofit and construction contracting industries and working with closely held businesses. Alesha also worked as a financial controller for a large church in Lexington.